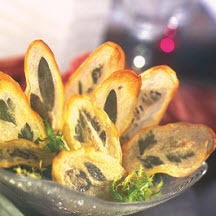 CooksRecipes has quality, kitchen-tested recipes for a variety of homemade chips, crackers, cheese puffs, pastries and more that are perfect for parties and entertaining. Recipe courtesy of David Burke, Corporate Executive Chef of the New York Restaurant Group in New York City. 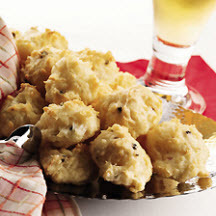 Serve these tasty, light-as-air cheese puffs as is, or stuff them with a savory filling of your choice. 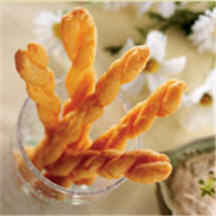 Serve these tasty cheese straws as an appetizer or as an accompaniment with soup or salad.